When Ian “Dicko” Dickson was looking for an activity that would keep him away from alcohol, little did he know that he was about to replace one addiction with another. The host of Network Ten’s Can of Worms and former Australian Idol judge wanted a diversion that would ‘waste’ a lot of time – the sort of time he would otherwise squander in the city’s finest bars and restaurants. He opted for a recreation that he knew nothing about, nor had any interest in or knowledge of. “When I gave up drinking I needed something to do. I just wanted something that took up time and golf turned out to be the best waste of time that I could find,” Dicko told Golfer Pacific. It’s been two-and-a-half years since Dicko and golf discovered each other. He was ‘hooked’ after just a couple of lessons and now Dicko reckons he’s involved in a lifelong love affair. “I have to admit I was happiest as a beginner. Then, you just want it to happen very quickly. You start with learning to swing a club but you’ve still got to learn the game. You’ve got to understand course management and strategies. I’ll keep learning that for the rest of my life,” he said. Dicko said he wants to ‘embrace every aspect’ of the golf game which he describes as a ‘metaphor for life’. “There are so many life lessons to be learned from the game,” Dicko said. Dicko happily hones his game with hours and hours at the practice range or chipping hundreds of balls around the practice greens. “That’s what I love most. I don’t need to see it on the scorecard. I just need to feel that moment of perfect geometry when the ball leaves the club face with purity,” he said. With such dedication it’s little wonder that Dicko chalked up his first hole-in-one just six months after taking up the game. It’s also why he was able to carve 10 shots off his handicap in just 10 weeks. “In October last year I was playing off 22 and in a crazy 10 weeks I Iost a shot a week,” Dicko recalled. “It was a wild ride but I was in well over my head. I got a new coach, new set of clubs and I lost my driving license, so I wasn’t practicing as much. It was the perfect storm and my dream ride came to an abrupt end,” he smiled. For someone whose life is lived in the spotlight and is often the target of unwanted attention from people he doesn’t know, Dicko is surprisingly relaxed about a round of golf with complete strangers. He reckons in his two years at Killara Golf Club in Sydney he’s met more of the club members than some people who’ve been there for 20 years. Meeting people on the golf course and listening to what they had to say about a whole raft of subjects was one of the motivations behind the development of Dicko’s successful new TV show, Can of Worms. The program tackles subjects that are talked about at dinner parties or in pubs and clubs but are often seen as taboo in the media. “It’s a show about public morality and political correctness gone mad,” he said. 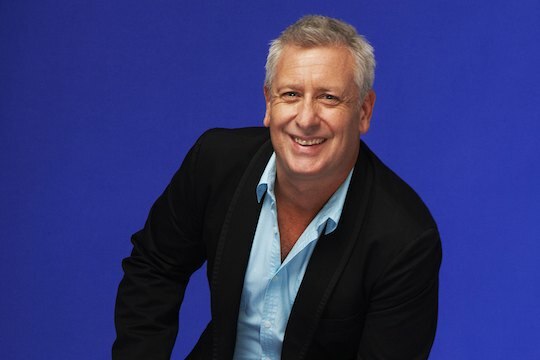 Dicko is hopeful his show will be given a second season by the Ten Network but he’s philosophical about the tenuous world of television. “It’s going well but you don’t plan your acceptance speech on the 9th tee,” he says, not surprisingly drawing on another golfing analogy. It’s a telling moment that yet again confirms Ian Dickson’s love affair with the game. “Everyone who plays golf with the intention of improving and really committing to it understands why it’s a lifetime love. There are just three things in my life now – my wife, work and golf,” said Dicko, whose two much-adored daughters are probably wondering where they stand and whether they’ve become golf orphans. Handicaps: How many shots have you lost?